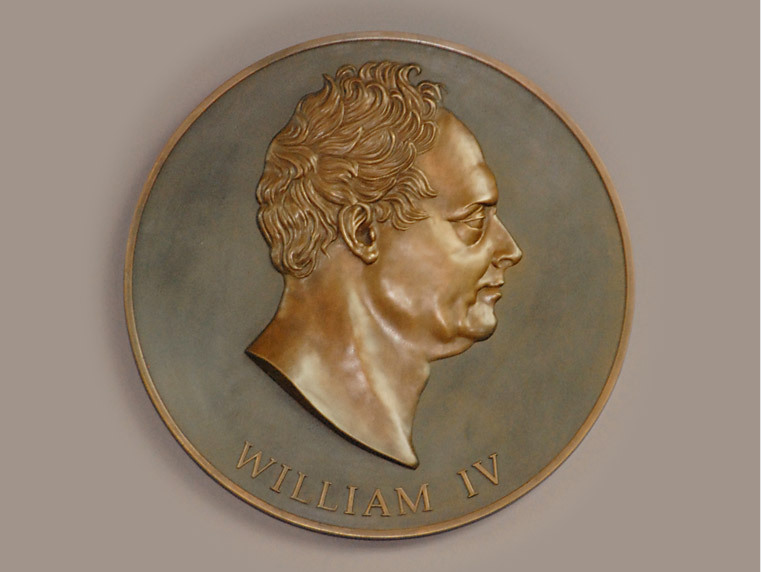 Andrew was commissioned to produce bas-relief sculptures for the Royal Box at Ascot racecourse. 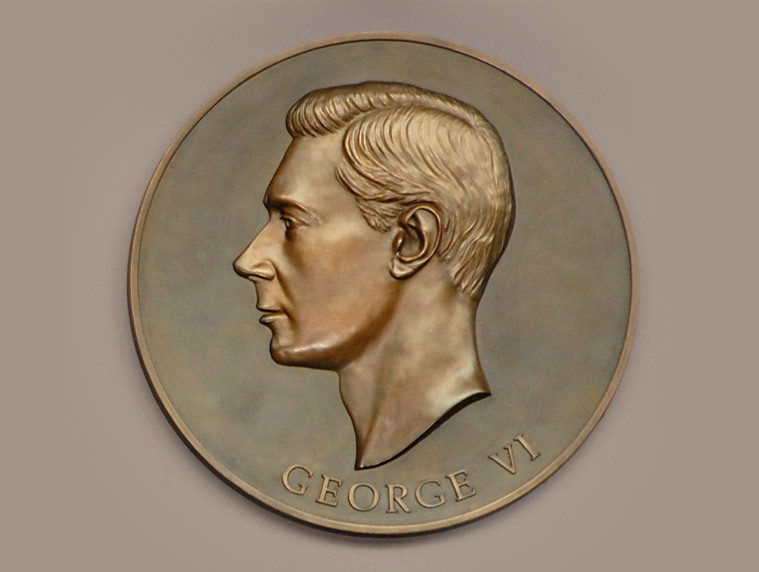 The brief from Royal Ascot was to produce sculptures of all the kings and queens since Ascot was founded in the late 1600’s. 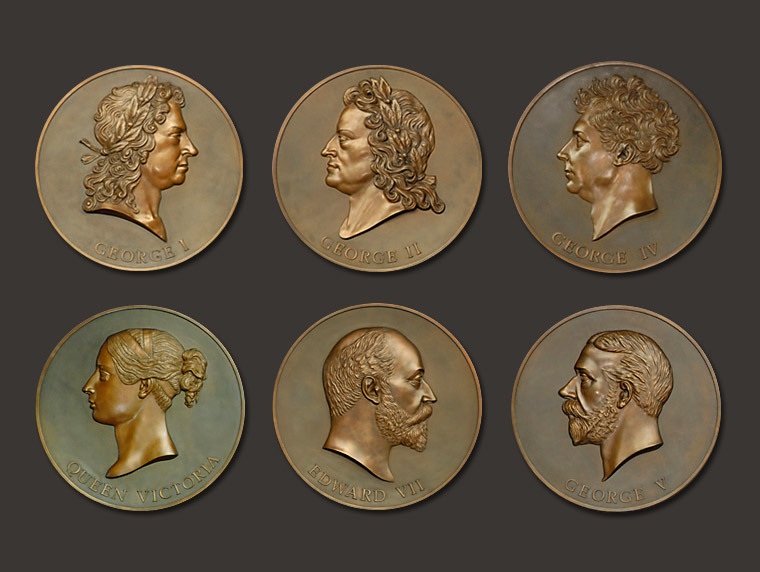 The portrait bas-relief sculptures are based on eleven coins from the Royal Mint. The Mint supplied digital printouts of each of the coins, as the originals were too valuable to allow them off the premises. 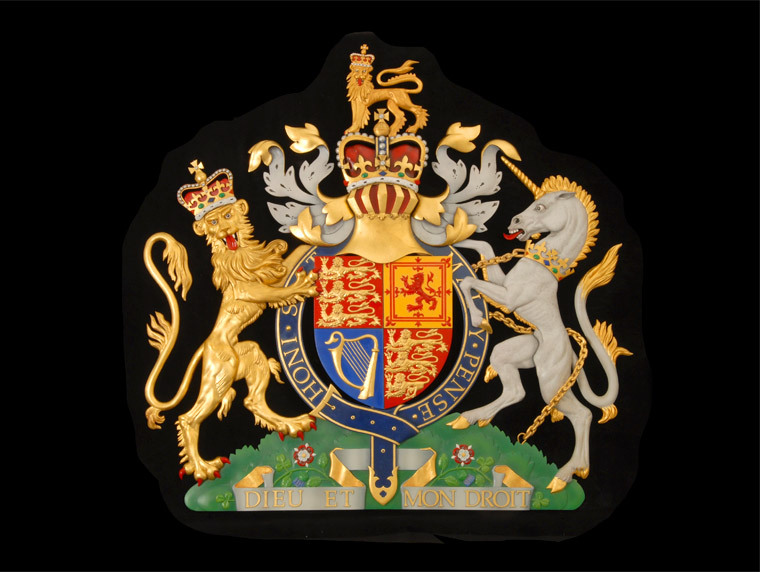 Also included in the commission were 2 royal coats-of-arms; one is on display on the Royal Box curved window and one above the entrance to the Box itself. Visitors to Ascot Races have the opportunity to see these stunning bronze sculptures which are on permanent display outside the Royal Box.